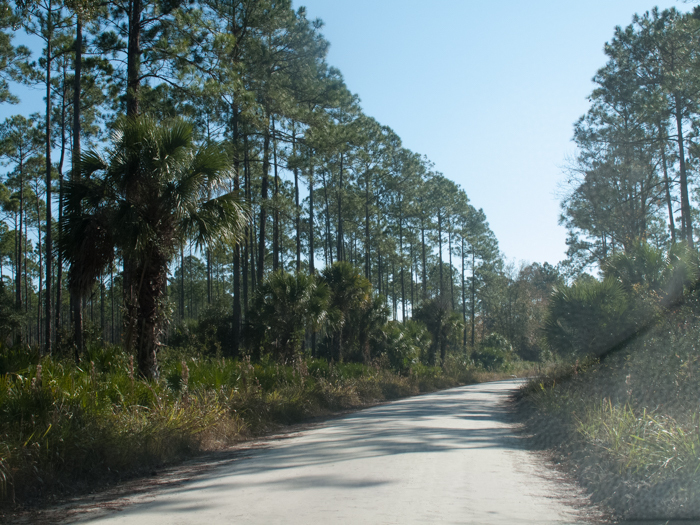 Dixie County‘s mainline roads were originally built to haul harvested timber from the swampy coastal forests. 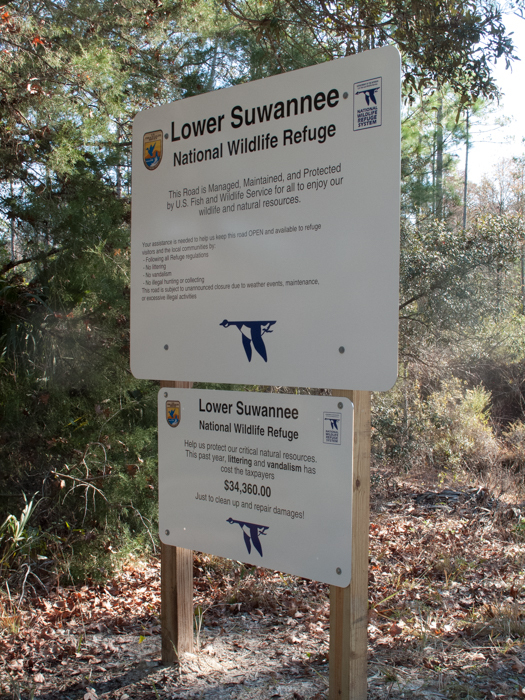 Now, the roads are maintained by the Lower Suwannee Wildlife Refuge and offer excellent views of Natural North Florida’s creek headwaters and backwoods. The roads are made of crushed lime rock and there are substantial bridges crossing headwaters. Only during periods of heavy rains are they impassible by 2 wheel-drive vehicles or bicycles. For hikers, even rainy days provide adventures along these roads. The Dixie Mainline heads south from CR351A, the road connecting Shired Island and CR351, near Lily Creek General Store. The road crosses the headwaters of several creeks, including Shired and Sanders, and eventually intersects CR349, just north of the town of Suwannee and the mouth of the Suwannee River. 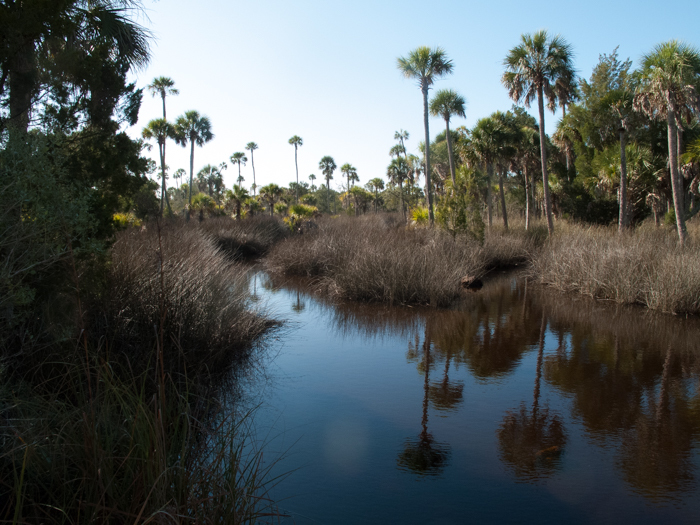 This route will give you a good look at a typical hardwood swamp and some excellent bird and wildlife viewing. The Bowlegs Mainline leaves CR351 south of the Lily Creek General Store and eventually joins CR361, south of Jena and Steinhatchee, near Rocky Creek. 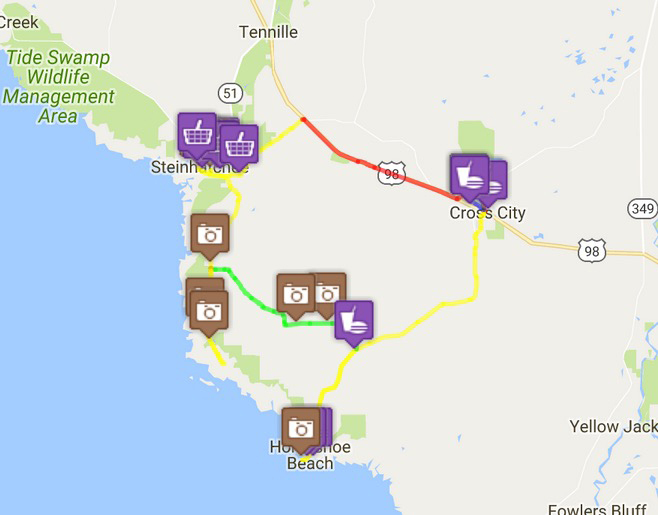 While mostly in a pine forest, the ride is still fun, with some interesting bumps and a few at-grade tidal creek crossings. 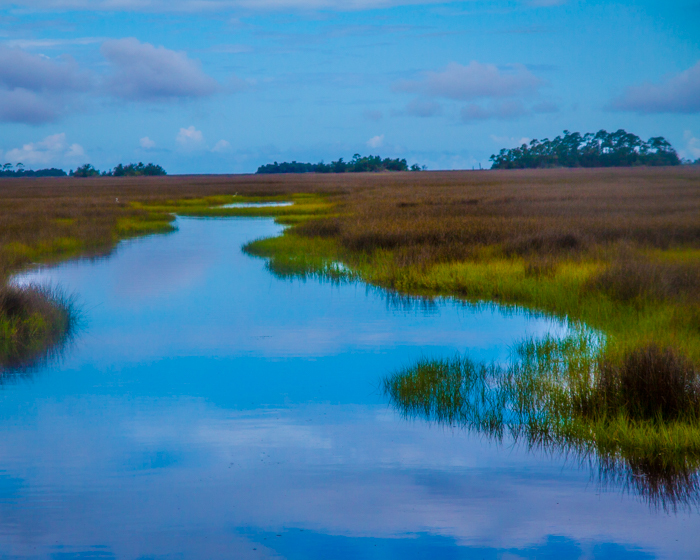 And, when you arrive at CR361, AKA the “road to nowhere”, you’ll have some fantastic views of our Gulf coastal marshes. If you’re cycling, while there’s a gap between where the Bowlegs Mainline, the ride on both CR351 and CR351A is a good one, on a good surfaced road. And if you’re a serious cyclist, consider riding the Visit Natural North Florida Bowlegs Mainline Loop.